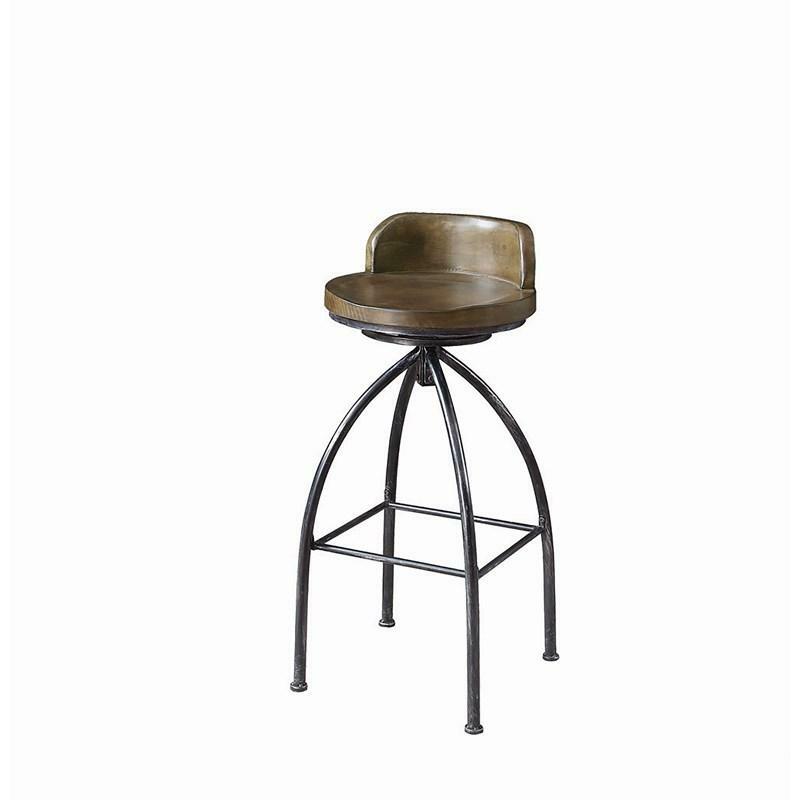 This rustic swivel metal bar stool features unique angles and seat to add some character to your bar setup. 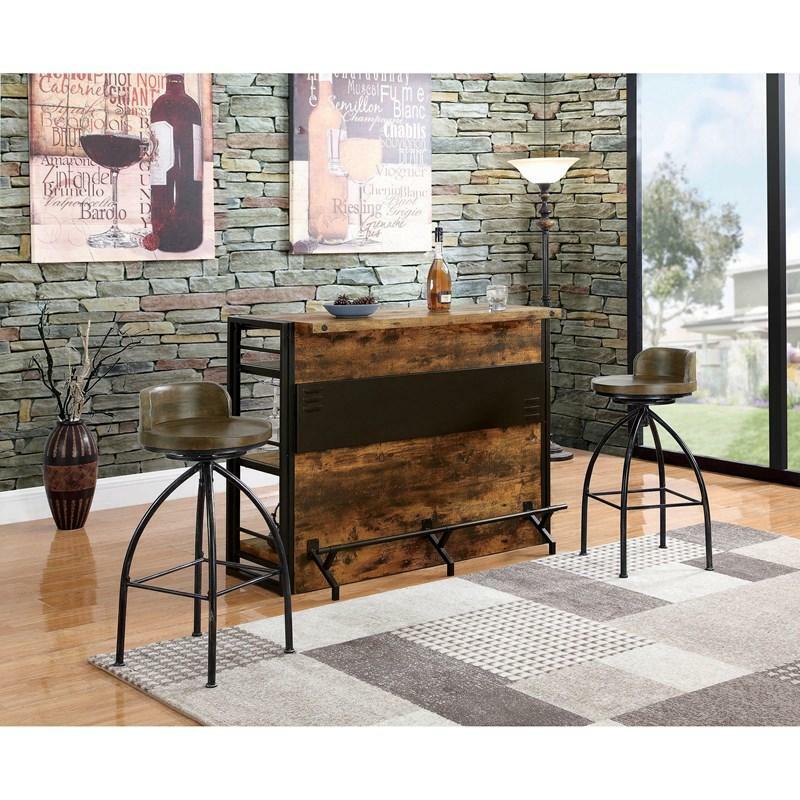 Featuring a metal arched based with hand brushed details, this stool has a solid pinewood seat with swivel capabilities so you can catch the conversation at all angles. The antique look to this chair is sure to stand out.